CAMPAIGNERS are protesting against the possible demolition of a pub that they want to keep as a “place for the community”. The Jack Russell pub, in Marston, closed on October 6 and was promptly sold by brewery Greene King. It has now been bought and plans have been made to demolish the Salford Road building to make way for a three-storey block of flats. There would be 16 properties, with six three-bed, eight two-bed and two one-bed flats. But the Save the Jack Russell group is hoping they can save it from the bulldozers. Independent councillor for Marston and member of the group Mick Haines said: “[The demolition would] rip the centre of the community apart. “We do need houses in Oxford but this plan is going up three storeys – it’s going to change the view for the houses behind the pub.It won’t fit in with the area. Almost all the people I’ve spoken to about it are against it. “The pub used to be a place for people to meet, there’s so little left in Marston for the community. An asset of community value order was granted for the building in June by Oxford City Council. It means that if the building were to be sold again, residents could have the chance to buy the building by instigating a six-month moratorium. However, the order cannot stop a property being demolished by its current owner. When the order was made the site had already been bought by Ali Liaqat. The Headington resident said he had been in discussions with the Save the Jack Russell group, but did not intend to keep the site as a pub. The 42-year-old added: “They’ve made it a community asset and I’m totally for that for the community and the government promoting. “But the demographic of the area means there is a need for housing. The Jack Russell is one of a number of pubs that have closed in Marston in recent years. In 2009 supermarket chain Tesco bought the former site of The Friars pub in Marston Road. Permission was granted for the building of a new express shop on the site, and the pub was eventually demolished. But earlier this year the food giant said it would be selling the plot of land after the company announced its biggest losses in nearly a decade. The Save the Jack Russell group is asking people to send their comments on the plans for flats at the site to the city council. RESIDENTS have until midnight to respond to the consultation on a controversial £12.5m overhaul of Headington’s road systems by Oxfordshire County Council. 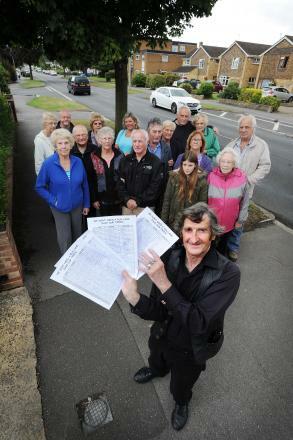 Independent councillor for Marston Mick Haines said last night that he has collected 400 signatures opposing the plan. Mr Haines has also said that residents have raised concerns that the loss of on-street parking in Cherwell Drive will spill over to residential roads. Last month the council announced a plan to widen “artery roads” from Headington into Oxford by removing trees, grass verges and on-street parking on roads such as Cherwell Drive and Headley Way. The move has been met with criticism from residents, with some complaining that they had not heard of the scheme and could not access it online. More than 150 people attended a public meeting set up by the wards councillors on Monday. 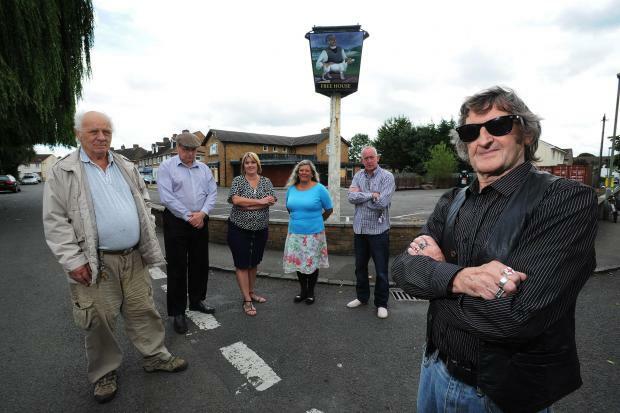 NEIGHBOURS are uniting to save a Marston pub in danger of being demolished next year. Developers want to transform the former Jack Russell pub in Salford Road into housing after it closed last October. But residents in the area want to register the building as a community asset and run it as a pub themselves. Campaigners are now gathering support in the next few weeks before the application is submitted. Marston resident Martin Smith, 52, said: “It’s all very well developing land to get more houses, I think it’s needed in the Oxford area. 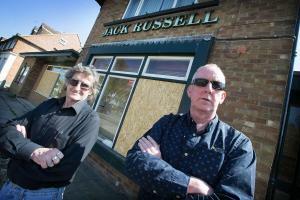 Garage manager Mr Smith said residents were devastated when the pub closed The father-of-two said residents are worried the community will drift apart after having to gather in different pubs since the Jack Russell closed. Mr Smith, a regular at the pub for the past 10 years, said villagers were prepared to buy the pub from the developer to ensure they save their only community hub. He added: “It has affected us all. As a community we are not getting to the same places so we are not getting together like we used to. Residents have now launched their Save the Jack Russell pub initiative, which has been supported by city councillor for Marston Mick Haines. Marston had lost many of its pubs in recent years, including the Bricklayers Arms, which closed in 2011, and The Cavalier, which was demolished in 2012. He added: “We do need more houses in Oxford in general but I think we need a pub in our area. “There are too many pubs that this is happening to. Mr Haines said many residents thought the pub had become run down but were surprised to find it had been sold last year. Communities can ask councils to register a building as an asset of community value and then have six months to find funds to buy them from a developer. An application to determine whether prior approval is required for demolition was received by the city council earlier this month. In the application, Shoqat Saddique said work on the site is expected to start next February. Mr Saddique said he did not wish to comment at this time. A CONVENIENCE store selling potentially poisonous potatoes has promised to improve after being hit with a zero food hygiene rating. 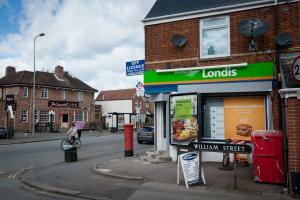 Londis in Marston Road, Oxford, was inspected by Oxford City Council on February 27. A report published at the end of March revealed potatoes that had turned green were on sale. According to inspectors, they could make people sick because of a natural toxin, glycoalkaloids, that cause stomach upsets and cannot be eliminated even when cooked properly. The report from the council’s environmental department also revealed one staff member was unaware of the 8C maximum legal temperature for fridges, instead believing it to be 9C. And they could not ascertain whether an unhygienic hot dog machine was being used. Inspectors gave the shop a zero mark in its Scores on the Doors hygiene rating scheme, meaning urgent improvement was required. The report added staff must be given training on the basics of food safety and trained “on the parts of of the food safety management system relevant to their roles including personal hygiene”. Mr Singh, who has owned the store for eight years, said 70 per cent of the report’s requirements had been met ahead of the next inspection on April 30. He added failure to comply was “generally dealt with by prosecution”.He added Londis had informed the council work to improve hygiene was under way, and confirmation in writing had been requested. The report also revealed apple juice that was more than three months past its sell-by-date was being sold and the rear door to the premises was locked, which was a fire hazard. It added there was no disinfection taking place at the premises and no soap or paper towels were available in the staff toilet. Alex Regan, Reporter covering Headington and Marston. MORE than 600 people have signed a petition against Oxfordshire County Council’s proposals for a £12.5m overhaul of Headington’s road network. The council announced in June plans to invest millions of pounds on major routes in the area to ease traffic to the city centre and the John Radcliffe Hospital. The proposals, which were put out to consultation between July 3 and August 7, could lead to grass verges and trees being removed in Cherwell Drive to make way for additional lanes on the road. On-street parking would also be removed from Cherwell Drive and the council has not given an indication of where these parking spaces would be replaced. It is hoped that the increased lanes will improve travel for staff and visitors to the John Radcliffe Hospital in Headington. Oxfordshire County Council cabinet member for transport David Nimmo Smith said: “This project is great news for Headington. “Oxfordshire County Council has been successful in obtaining substantial government funding for the Access to Headington project. “The funding is to improve access to the area and will help us to make better use of an already busy road network in coming years with the emphasis on public transport, cycling and walking.” But the proposals have caused concern in Headington and Marston as residents worry that communities “will be changed beyond recognition”. Independent city councillor for Marston and parking campaigner Mick Haines said the proposals were “terrible news” for the district. Mr Haines has got 601 signatures on a petition against the development, which will significantly affect Headley Way and Cherwell Drive. A spokesperson for Oxford University Hospitals NHS Trust, which runs the hospital, said: “We are reviewing the proposed access to Headington scheme with staff and patient welfare in mind and in relationship to access on and off our hospital sites. 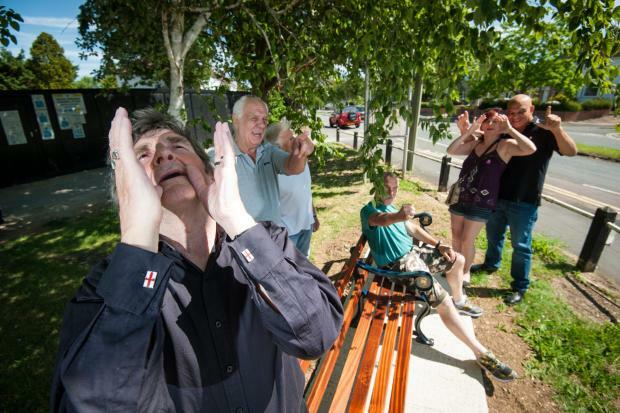 MARSTON residents sounded out loud as they unveiled a memorial bench on the site of a former Second World War air raid siren. Oxford City councillor for Marston, Mick Haines spearheaded the campaign to raise £900 for a bench to mark the sport where a siren stood to warn residents about incoming Luftwaffe aircraft between 1939 to 1945. Mr Haines has already funded installing a bench and plaque on the other side of the Old Marston Road road to mark the site where a Second World War air raid shelter once stood. He has paid for the memorials from a special council allowance he gets for projects in his constituency. He said: “It’s a lovely spot. It is thought about 29 people died in Marston during the war even though it had been considered relatively safe from bombing. THE PEOPLE of Marston will finally get the opportunity to decide on the future of street parking in the area after nearly a year of waiting. Residents were promised an area-wide survey on the potential use of permit-only parking in some areas. It followed complaints commuters were taking advantage of free street parking in Marston, resulting in residential streets clogged up with cars. The promise was made by Oxfordshire County Council, which operates street parking in the county, at a meeting of disgruntled residents at Marston Village Hall in July 2014 – but no action had been taken since. Now, nine months on, city and county councillors will be distributing more than 1,000 surveys across the ward. Independent councillor for Marston Mick Haines said: “It’s great news that we’ve finally got the surveys. “We’ve had to wait a long time but we’ve finally got the questionnaires now and I’ll be delivering them to residents. In the questionnaires, residents in busy streets such as Lewell Avenue, Mortimer Drive and Fairfax Avenue will get a chance to decide on what sort of street parking they would prefer. Residents can choose from three options: free unregulated on-street car parking, full-time permit parking, or permit parking where visitors can stay for between one and three hours. Lewell Avenue resident Malcolm Kitching previously referred to Marston as a “glorified car park”. 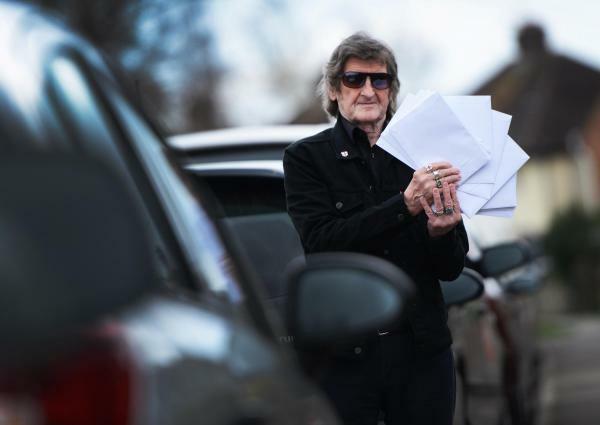 The 74-year-old had complained that students and employees from Headington institutions such as Oxford Brookes had made parking close to his house impossible. Now the grandfather-of-eight hopes that hours spent looking for a car parking space could be a thing of the past. He said: “I’m over the moon. “It’s been such a long time and there was no movement and we’ve been so disheartened that we felt like we’ve been forgotten. “I’ll go along with what the people of Marston say. It’s important that we all have a voice. “But what I’d like to see is the residents to go for limited parking. “That’ll stop people from Brookes and the JR parking here for the whole day hopefully." Mr Haines added: “From handing out the first few surveys, a lot of people don’t want permit parking. Oxfordshire County Council had previously said that residents could expect the surveys in early March, but Councillor Mick Haines only received them surveys on Monday ((13/04)). Spokesman Owen Morton said: “Unfortunately we were unable to progress this in recent months due to competing demands on resources within the highways team.